Sports/recreation organizations (e.g. teams, leagues, tournament hosts, camps, individual instructors, gymnastics studios, martial arts studios, hunt clubs, etc.) 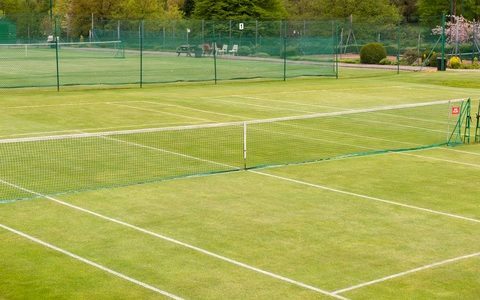 often lease outdoor or indoor sports facilities to conduct their activities such as playing and practice. Likewise, sports facility owners (both municipal and private) make the facilities available to sports organization in exchange for rental income or to serve the community. The third option (Broad Form) is not equitable to the sports/recreation organization and may be contrary to state law in some states as it can be considered to be against public policy and “unconscionable”. This option requires the sports/recreation organization to accept responsibility for even the sole negligence of the facility owner. For example, such a Broad Form indemnification/hold harmless agreement may require the sports/recreation organization to assume liability on behalf of the facility owner in the event of bleacher collapse or roof collapse. Such liability would ordinarily fall upon the facility owner as the party that is responsible for construction and maintenance. Requiring the sports/recreation organization to be responsible for these losses would be totally unreasonable and such assumption of liability should never be accepted under any circumstances. Sample language for the Broad Form is as follows: The Sports/Recreation Organization agrees to indemnify and hold harmless the Facility Owner and its respective directors, officers, employees, volunteers, and agents for all imposed by law third party claims, damages, losses, and expenses including but not limited to reasonable attorney’s fees resulting from bodily injury and physical injury to tangible property including loss of use thereof to the extent caused by the negligence of either the Sports Organization or the Facility Owner arising from the subject matter of this lease. Before signing a facility lease agreement with either the the Intermediate Form or Broad Form provision, the sports/recreation organization should seek advice from their attorney or insurance agent and strike these provisions from the contract and replace them with the appropriate Limited Form language. The insertion of the new provision should be initialed by the sports/recreation organization. Taking this action is the legal equivalent of making a counter offer to the terms of the lease. Under most circumstances, the facility owner will accept this change. If the facility owner does not accept this change, the fallback position of the sports/recreation organization would be to consider accepting the Intermediate Form language. However, the Broad Form language should never be accepted. The facility lease agreement will normally require a Certificate Of Insurance evidencing a General Liability policy with a carrier rated at least A- under AM Best for financial strength with an “each occurrence” limit of at least $1,000,000. and that the facility owner is added as “Additional Insured”. It is important to make sure that you are in compliance with the insurance requirements under the lease so that you are not in “breach of contract”. The wording of the indemnification/hold harmless is so broad as to require you to accept liability beyond the types of liabilities that are covered by General Liability policies. Beware if the wording in the indemnification/hold harmless agreement requires you to assume liability for any of the following: “any and all liability” (you should only assume liability for bodily injury and physical damage to tangible property including loss of use thereof); all “property damage” (should be limited to physical damage to tangible property including loss of use thereof); liability that goes beyond negligence or tort liability such as breach of contract; and liability for common General Liability exclusions such as pollution, property of others in your care, custody or control, or professional liability. Your General Liability policy has an endorsement entitled “Contractual Liability Limitation” or a similar endorsement. If your policy has this endorsement, you will have no coverage for the liabilities that you assume in your facility lease because it will not be considered an “insured contract”. Your General Liability policy has an endorsement entitled “Amendment Of Insured Contract Definition CG2426” or a similar endorsement. If your policy has this endorsement, you will have no coverage if you assume the sole negligence of the other party. In addition, the facility lease agreement should require the facility owner to provide evidence that it carries its own General Liability policy to cover incidents arising out of the negligence of the facility owner. Such General Liability policy should be placed with a carrier that is rated at least an A- under AM Best for financial strength and should have an “each occurrence” limit of at least $1,000,000. As you can see from the discussion above, you and your insurance carrier have a lot to lose if you do not carefully review the terms of the facility lease agreement before you sign it. It is best to hire an attorney or better yet recruit an attorney to be part of your management team so that you can receive some free legal services. If you refuse to seek legal advice, the risk management principles outlined above will be of assistance in reducing your risk. Of course, even the best contractual protections are no substitute for quality sports insurance. Be sure to check out our affordable options by clicking on the “Get a Quote” button in the navigation bar at the top of the page. DISCLAIMER: THE INFORMATION IN THIS ARTICLE IS NOT LEGAL ADVICE. BEFORE SIGNING ANY FACILITY LEASE, YOU SHOULD CONSULT WITH LOCAL LEGAL COUNSEL AND YOUR INSURANCE AGENT.